My second grader filled the car with electric energy as he climbed in and handed me a sheet of paper with a class announcement. It was finally here. He had watched his older sister and brother experience fun second grade activities at this school and now it was his turn. His class had been doing a unit on Native Americans and the way they celebrated its completion was by having a fun filled “Indian” day. There would be the snacks and crafts, reading in teepees, and the costumes…he had always wanted to make a costume like his siblings. And I loved helping to make those costumes. We cut up old t-shirts and painted designs and added beads. We spent a whole weekend together to get ready. But this year was different, I was different and I felt uncertain. I felt uneasy with how to go about helping my son participate after all I had learned over the last couple of years. It all started two years ago with an article my friend shared with me. It was talking about colorblindness but not the medical kind. Instead it was talking about the strategy that is used by people to help them try and resolve racism. It is the saying “I don’t see color, I only see people.” This statement made it sound like racism was just a choice, and if we didn’t see color, racism would naturally go away. This article talked about how wrong and damaging that thinking was. My heart leapt into my throat as I thought about how my upbringing lined up with colorblind thinking. I didn’t know that the concept of color blindness toward race actually hurt both white people and people of color. I thought that racism was just hatred toward people of color so if I said I didn’t see color, I was showing them that I loved them as a person. This article showed me that white people were hurt because colorblindness made it impossible for me to see the struggles of people of color under systematic racism. And people of color are harmed, of course, because their real struggles were still continuing while good intentioned white people like me lived our lives clueless. Learning all of this horrified me because I was teaching my kids the same way because I didn’t know any better. It hurt me to think I was keeping my children from being the fully compassionate people that they could be by limiting what they saw through a colorblind frame. My own colorblindness had kept me naïve and ignorant to the toxic systematic racism that existed in the country in which I was raising my children. How could I teach my children to love your neighbor as yourself if I also taught them to not see color, which made up part of a person’s unique self with all of its history and social impacts? 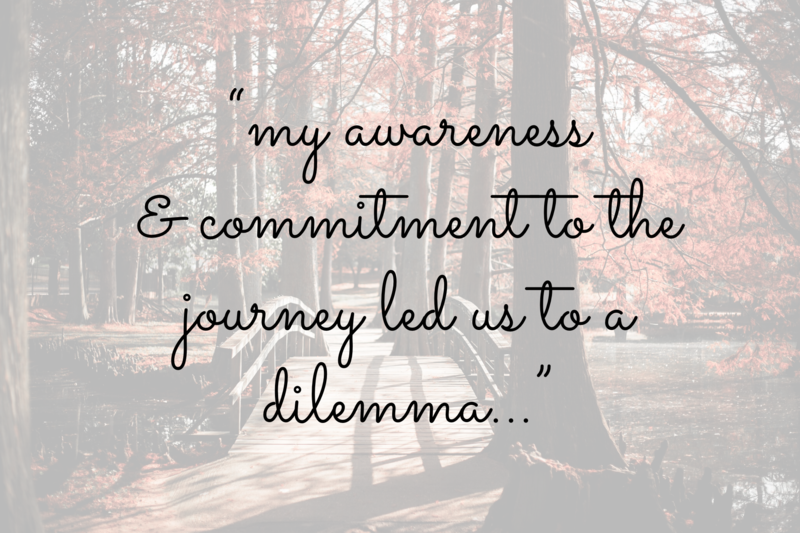 I had found a great divide between what I believed and how I was living that out with my children and I wanted to make a change. This article propelled me on a desperate journey to seek a new way to teach my kids, to be one of race awareness and conscious. And so to teach them, I first had a lot to learn and unlearn. It has been over two years now since I chose to take a different path than my colorblindness toward race. I chose to dig deep and start the hard work of learning again for the sake of teaching my children better. And I am still on that path of learning. I am learning through taking classes, reading books by experts, and listening to podcasts done by anti-racism educators. I discovered some hard truths about our nations history that were left out of my history classes. I learned excluded details about how we treated many groups of people that we didn’t want to categorize as white, like the Native Americans that we signed peace treaties with and then forced them from their lands. How it was easier to label the Native American’s as savages and perpetuate that stereotype so we could justify taking their land then to see them as created in God’s image, deserving of all basic human rights. And I am still learning about the systems that were established to benefit white people over people of color that continue today. I am learning that even when the language changed, the main objectives of racism are continuing. And I am learning that my children are not traumatized by these truths when presented on their level. Instead, they learn it faster than I because they are not unlearning misconceptions and racial stereotypes. My awareness and commitment to the journey led us to the dilemma of “Indian” day, (the second grade fun day planned to celebrate the end of their Native American unit). My son and I had talked throughout his study unit and I had been intentional to fill in some of the knowledge gaps of history that I knew he was probably not hearing in the classroom. We agreed we would only say Native American out of respect because we knew that “Indian” was not an accurate name since it was given to them because they were thought to be people from India. He did the same in his classroom, writing out Native American on every assignment, even though it was longer and harder to spell. And now it was “Indian” day and we set to work on his costume. We took an old white t-shirt and decided to tea dye it to make it earthy brown. And as it soaked up the tea, I couldn’t think of any designs to put on it. We had been given no specific instructions for what a true Native American costume should look like. So I began to research Native American clothes, called regalia, and discovered how important each symbol was and how it was a badge of honor that was earned. Each feather was earned through an act of bravery and they were worn proudly like military metals. As we learned about this group of people who had been driven from their lands at the conception of this country, I couldn’t go along with boiling down their rich culture to a meaningless fun costume day. So my son and I decided to do something unheard of in the history of this school, we didn’t make a costume. Instead we printed out a picture of a real Native American wearing his regalia and taped it on the tea dyed shirt to represent that it was the Native Americans who owned the right to their regalia. I sent an email to the teacher to let her know that my son would be coming to school in a non-costume and that he may chose to not participate in some activities if he felt it was not honoring the Native Americans’ culture. Apparently my email was very unexpected because I received an email response from the school director with concerns that I was going to start an argument or disturbance. I could tell we were disturbing the waters of normalcy at the school already. The morning of “Indian” day, the second grade fun day planned to celebrate the end of their Native American unit, my son was very nervous. We had spent the whole day before wrestling with our decision to not make a costume out of respect for the Native American culture. He understood that he was going to look different from his classmates. He knew that they might wonder why he wasn’t participating. I told him I was so proud of him because he was standing up and being a voice in his class. I walked him into the school and took a look around his classroom. It had three fabric teepees set up and tons of decorations. His classmates were excitedly talking and checking out each other’s costumes. I gave him one more hug and then sent him in. As I watched him cross the room to his desk I thought, “Am I doing the right thing? Did I just make my son a target for ridicule? 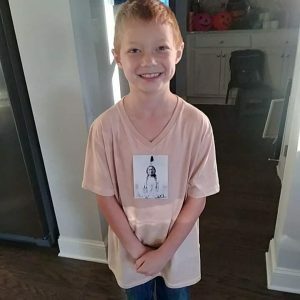 Is it even worth making a second grader do something so hard as to stand up for a marginalized group of people in his classroom?” I was nervous all day as I waited to pick him up from school. I wanted to hear how it went. I wished I had been a fly on the wall. I was in carline early, unheard of if you know me personally. I saw some of his other classmates waiting to be picked up wearing feather headbands and arms full of crafts. Then I saw him, wearing the plain shirt we made and carrying nothing but his book bag. “I didn’t do any of it,” he announced proudly as he climbed in the car. He chose to sit out from every activity the teacher had planned. He ended up sitting at a table and reading for most of the day because the teacher really didn’t have any alternate activities. He had done it, he had chosen to stand up for another group of people who were not represented in his classroom. He had been an advocate for a marginalized group of people at eight years old. I couldn’t be prouder and I was happy to call this whole experience a victory. But I really didn’t understand fully what had just happened, and its larger affect. During the summer months after that second grade year, I was able to spend some time with my son’s second grade teacher. Her children attended the art camp I was a part of but had missed the last day to pick up their projects. I offered to bring them to her house. We sat in her lovely kitchen and talked about summer and the art camp. We talked about the up coming school year and how much my kids had grown. Then I decided to ask a question. “Will there be any changes to “Indian” day next year?” “Actually,” she replied, “it is not on the plans this time. I want to revamp our curriculum and take out some of the fluff.” I couldn’t believe my ears. This school had been in operation for thirteen years and as far as I knew, “Indian” day had been a part of it. This teacher, though she had only taught second grade at this school for two years, had inherited this project from the school as an established expectation. And now after my son’s stance, she decided that she wanted to reevaluate the whole thing and remove it!! When I told my son, his look of shock was comical. He was astounded that one little boy could have such a big impact on his school. I was just as shocked. I had not yet seen such a large impact of my intentional anti-racism parenting and it fueled me. It made both my son and I braver to speak out. It motivated me to keep learning because I was equipping my children to make a real difference for equality in their world. It confirmed that even if you are the only one willing to speak up, your voice counted and was necessary to help bring about change, even at eight years old. Tiffany Trudewind, a wife, mom of four, an artist, a lead volunteer for Brownicity, and former elementary education teacher fashions every aspect of her life into an instrument for justice and shalom.